My Greek professor at Wheaton College used to open class with devotions and prayer. His insights were so heartfelt—and so profound—that those few minutes became the highlight of my day. I remember him speaking quite often of a faithful man named Enoch (Heb. 11:5). The Greek word that Scripture uses to describe Enoch’s transition from this life to the next means “translation.” It implies movement from death to spiritual life. “Death isn’t something to be feared,” my professor would say. “It’s just translation from one life to the next, like a simple word translation from one language to another.” The essence of who we are is unchanged; just the language, or expression, has changed. Have you ever thought of death in that way? 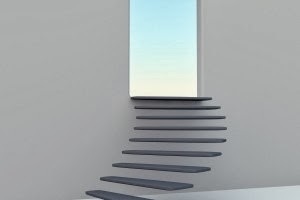 If that translation process, that passing from one life to the next, seems frightening or unsettling, it’s only because of our limited perspective of our journey. We cling to this life—with all its frailties, imperfections, pain, and sorrow—because it’s all we know. Yet Scripture makes it clear that what awaits us in God’s presence is beyond even our fondest imagination. One of Jesus’ final statements on the cross—“Father, into your hands I commit my spirit” (Luke 23:46)—offers comfort and assurance to all who follow him. The moment we pass from this life, we will find ourselves in the hands of our loving heavenly Father. We have no reason to fear that passage—and every reason to look forward to it. A friend of mine tells the story of traveling home for Christmas break during his freshman year at Taylor University. At the time, first-semester freshmen weren’t allowed to have cars on campus, so my friend had to wait for his parents to make the fifty-mile drive to campus from their home in central Indiana. By the time they arrived, the campus was nearly deserted. Dire warnings of an approaching “storm of the century” had prompted most students and faculty to accelerate their departures. A campus job and a particularly unfavorable final exam schedule had prevented my friend from doing the same. He and his parents quickly loaded the car, a 1982 Lincoln Continental, as a nasty mix of snow and ice began to fall. They made their way with some difficulty through the tiny towns and back roads that surrounded the campus until they reached Highway 13, the two-lane road they would follow the remaining thirty-five miles home. And that’s when the excitement really began. Visibility dropped from a mile to half a mile to one-tenth of a mile, until it descended into near whiteout conditions. The temperature plummeted. A radio newscaster warned of the dangers of the below-zero windchill factor and strongly advised all listeners to stay in their houses. Unfortunately, staying put was no longer an option for the family, who were ever-so-slowly working their way south on Highway 13. With no snowplows in sight and a windshield that was freezing over faster than the defrost blower could warm it, improvisation became a necessity. In certain spots, my friend, who was riding shotgun, and his father, who was driving, were forced to open their doors and peer down at the ground in order to make sure they were still on the road. My friend’s mother, meanwhile, sent up white-knuckled prayers from the backseat. The Lincoln steadily inched its way along as the tension inside the car mounted. One ill-advised turn of the wheel, one momentary loss of tire traction, could have been disastrous. That particular stretch of road was notoriously desolate. What’s more, the family had yet to see another car on Highway 13. And in those days before cell phones, there would have been no way to call for help if they had found themselves stranded. So they pressed on, mile after agonizing mile, praying and sweating it out every inch of the way. Some six hours after they had started their journey home, they spotted a welcome sight: the red and blue flashing lights of two police cars from their hometown parked perpendicularly across the northbound lane of Highway 13. Just beyond them was a large “Road Closed” sign in the middle of the highway. The family pulled alongside the stunned police officers, who informed them that Highway 13 had been shut down for hours in both directions due to impassible road conditions. Imagine the joy, relief, and thankfulness those family members felt when they finally walked in the door of their home—the destination they had envisioned for so long. Imagine how good it must have been to reunite with their loved ones there. Perhaps that’s just a very small taste of what it will be like to pass through heaven’s doorway. A couple of years ago, that beloved Greek professor was translated from this world to the next. I was sad to see my mentor leave this earth, but I look forward to rejoining him as my own life is translated from a faulty earthly language to a perfect heavenly tongue. 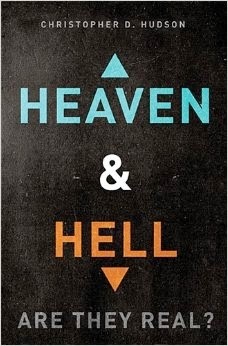 An edited version of this article will appear in my upcoming book Heaven & Hell: Are They Real (Releasing February, 2014).